40 fl. oz. 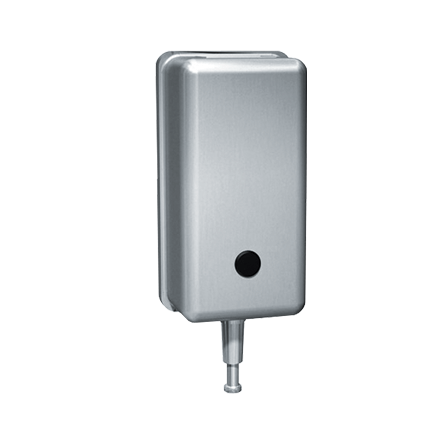 (1.1 L) capacity soap dispenser in stainless steel satin finish. Comes with an all purpose valve mounted vertically from bottom of container for use in showers and a tamper-resistant refill indicator. 4-13/16″ x 11″ x 3″ (122 x 279 x 76 mm).